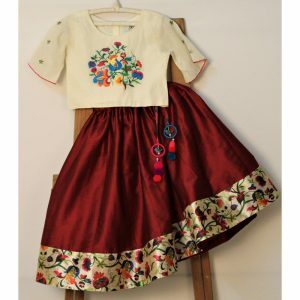 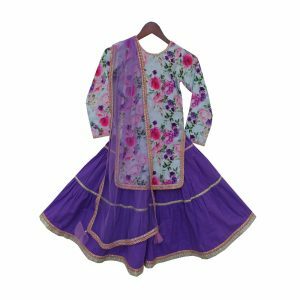 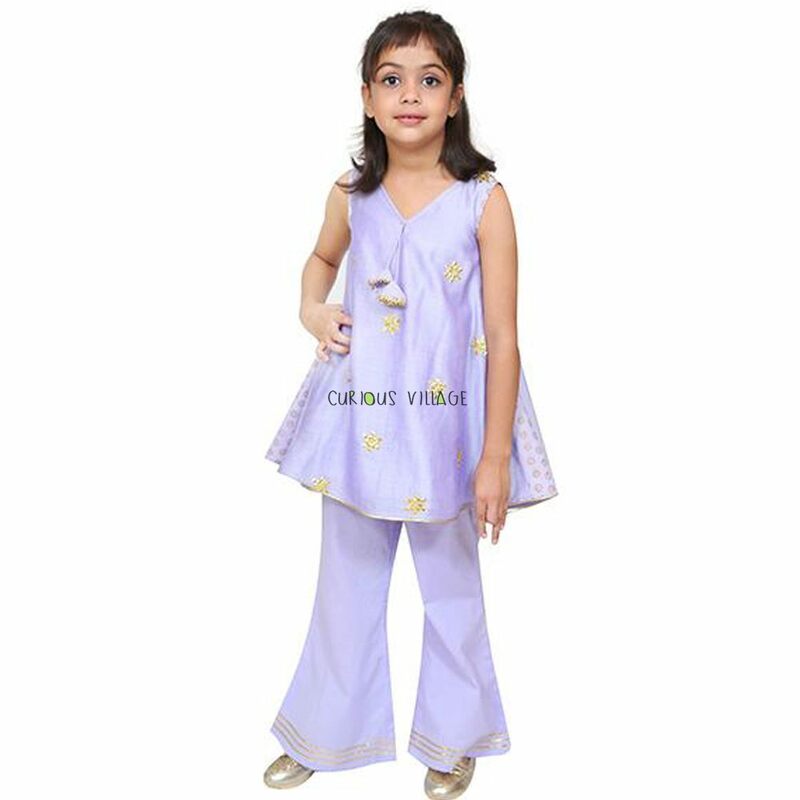 Smart indo western outfit for girls. 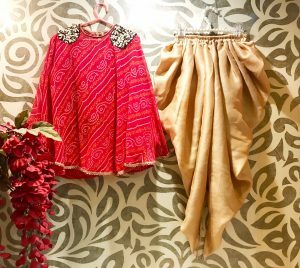 Flared shirt with a block print printed fabric and hand embroidered gota patti flowers, fun tassels on neck Paired with a soft sharara. 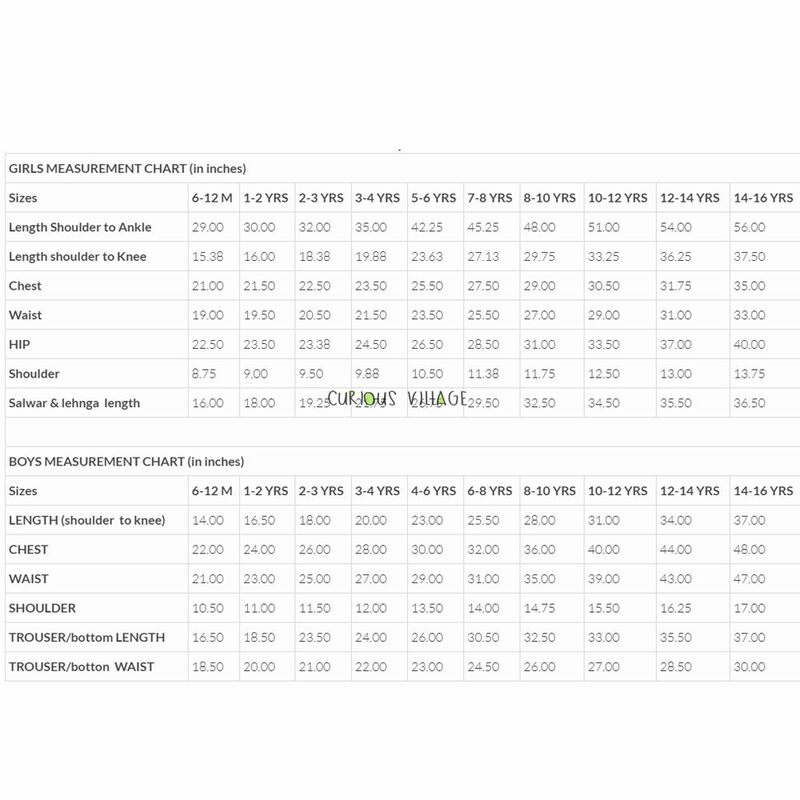 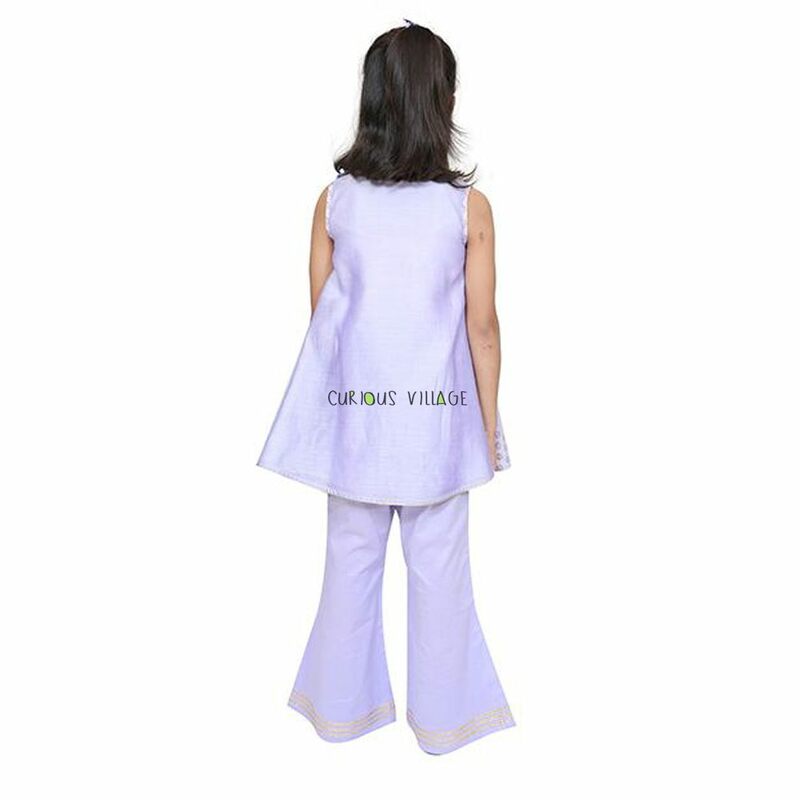 Opening and Comfort:Top with shoulder opening ,dhoti adjustable at waist with button elastic.